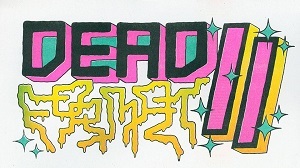 DEAD FORMAT II is a risograph exhibition, showcasing twenty-four Australian illustrators. Each artist will create a piece specifically for risograph printing based on the phrase “dead format” which will then be lovingly produced by print powerhouse Helio Press! Accompanying the art is a night of punks-not-dead-format rock. Dole-punk dreamboats PAPPY, riso-pink pals Eat-Man, tools-down tinnies-up for The Tool Time House Band and brand new kids on the block Sheep! Head to the Facebook event page to register your interest here.